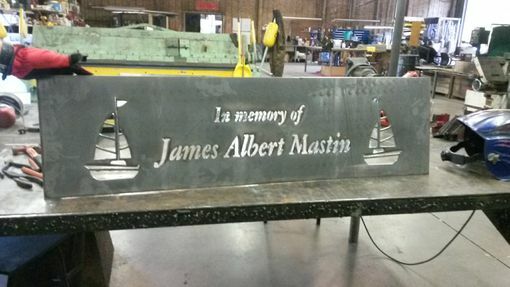 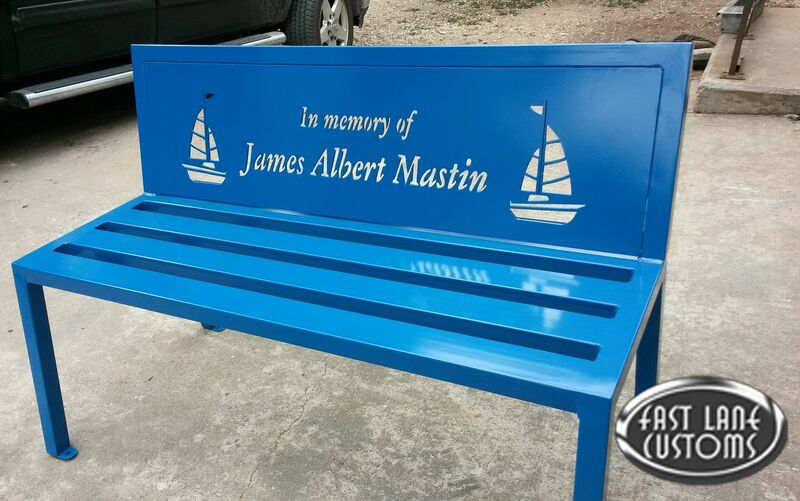 This bench can be made as a memorial or with just a personalized design or message. 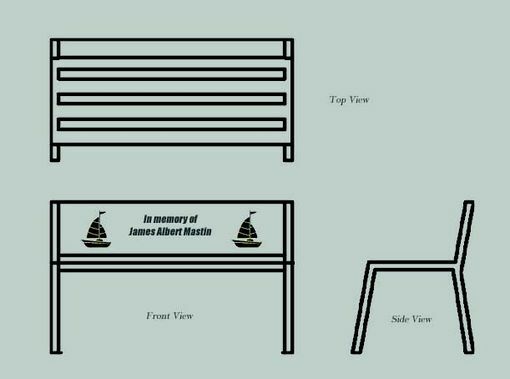 Let us know how you'd like your bench to look, and we'll send you pricing and a personalized sketch. 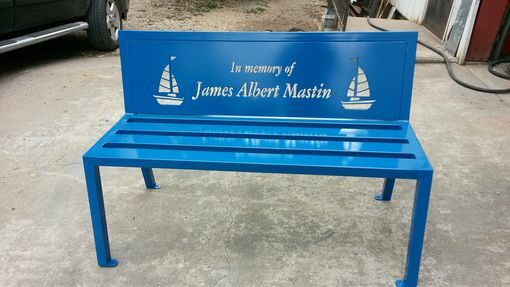 This particular bench is powder coated. 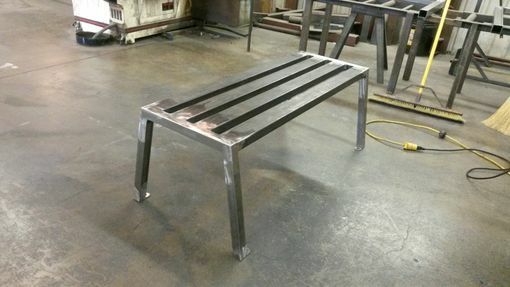 We can do a color of your choice or leave the natural metal with a clear coat.